When filming The Aquarium DVD, we came across so many amazing tanks that we had to produce Volume 2. 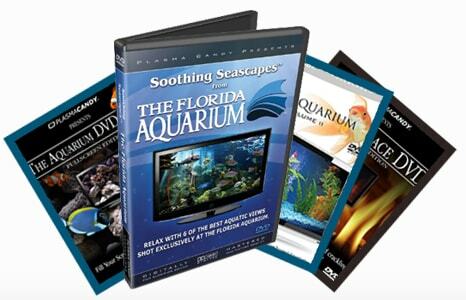 The DVD is packed with spectacular reefs and plants as well as extraordinary fish. With 3 fresh water tanks and 3 salt water tanks, you will enjoy hours of relaxing aquarium life. An aquatic experience with the click of a button! Works on any TV and DVD player!